Businesses that employ Heating Ventilation Air Conditioning and Refrigeration (HVACR) technicians need a solid strategy to overcome the realities of their future labor market. By 2026, the Bureau of Labor Statistics projects a 15% growth in the need for HVACR mechanics and installers. The Air Conditioning, Heating and Refrigeration (ACHR) NEWS reports that the demand for new talent is on track to exceed the availability of qualified job candidates. It’s understandable that, even with great growth, you may be worried about the future of your business. With the industry growing faster than the average of all occupations you need a plan to address this labor gap. Your employees need to be trained properly so they can confidently educate all those customers to specify and purchase the right products, get them installed, and keep them running. In addition, new hires need to get up to speed quickly with accurate product knowledge and job skills to be able to hit the ground running. Even as your industry grows you feel vulnerable. "been a big part of their success with training” and that she’s “so excited about where we’re all headed!" Judi envisions an amazing future for her team and knows that a successfully implemented training program is key to getting them there. 90% will take a course if it’s between 1 and 5 minutes. In 2018, one of BlueVolt’s most active HVACR clients offered over 1,500 courses to their team. 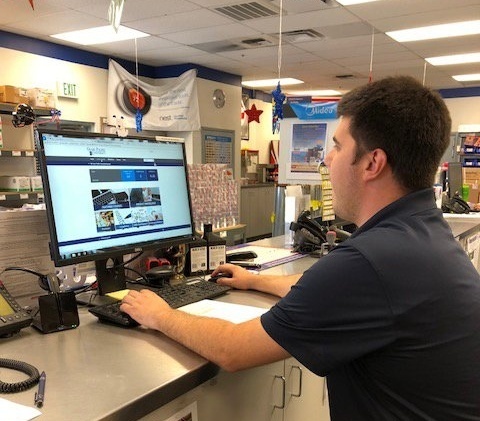 Their staff completed close to 40,000 courses during this time with nearly half of the courses focused on training counter and inside sales staff. This HVACR distributor clearly values online training for its ability to scale and effectively train their team. They know in an industry that is in dire need of fast-tracking novices into experts, a well thought out training program is imperative to their continued growth. See how you can create a robust training program for your team by calling us today to learn more at 1-503-223-2583.